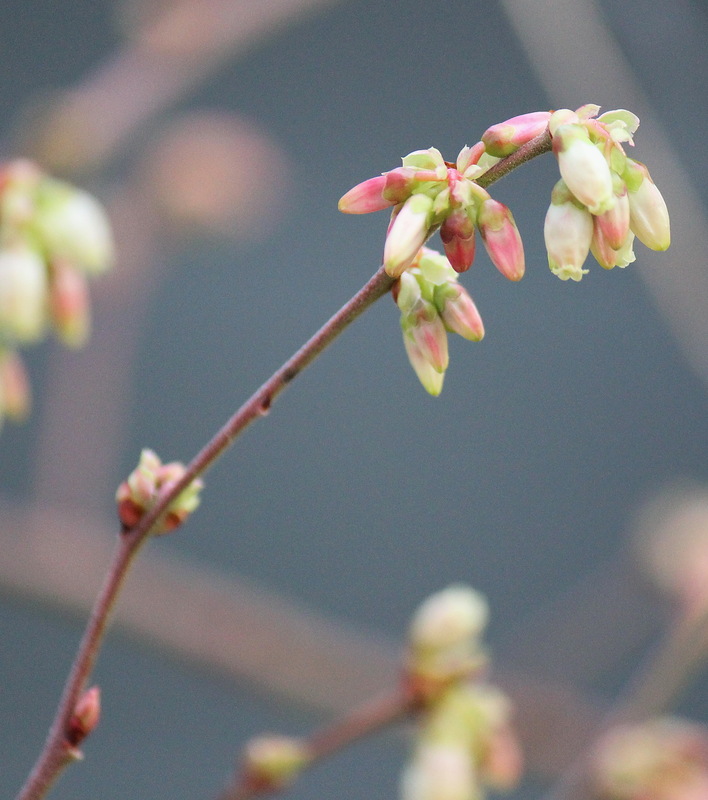 Black Highbush Blueberry, Vaccinium fuscatum, blooming in late February! 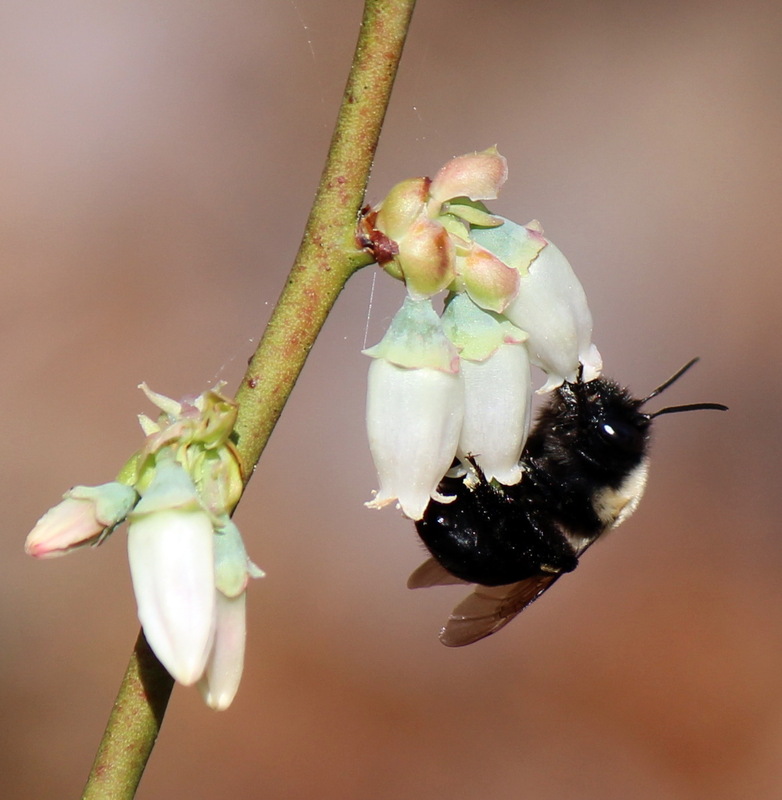 The March visitor to the flowering blueberry buffer was Hapropoda laboriosa, the Southeastern Blueberry Bee. This species is a member of Apidae, a large family which also includes honey bees, bumble bees, and carpenter bees, among many others. These are the longer-tongued bees that are more adapted for gathering nectar from deeper flowers. 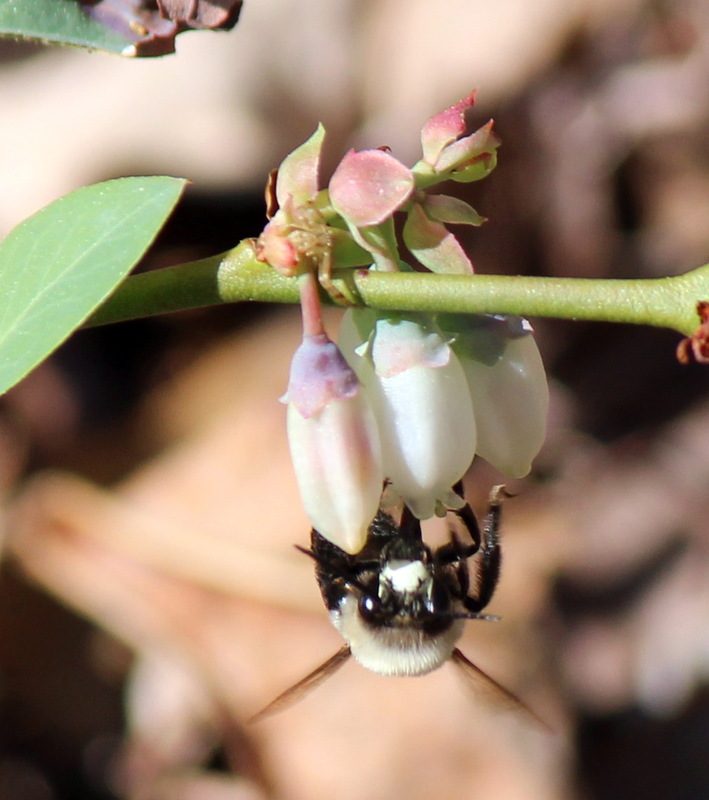 Southeastern Blueberry Bees, as their name suggests, are oligolectic – they collect pollen primarily from a single genus, although this species is also occasionally seen on other early spring-flowering species such as Gelsemium sempervirens, Cercis canadensis, and Linaria canadensis. (1) Southeastern Blueberry Bees collect pollen via sonication, or more descriptively, buzz-pollination’ – they vibrate their flight muscles while gathering nectar, shaking pollen from the anthers of the flowers. male (yellow face!) Southeastern Blueberry Bee, on Vaccinium virgatum cultivar. 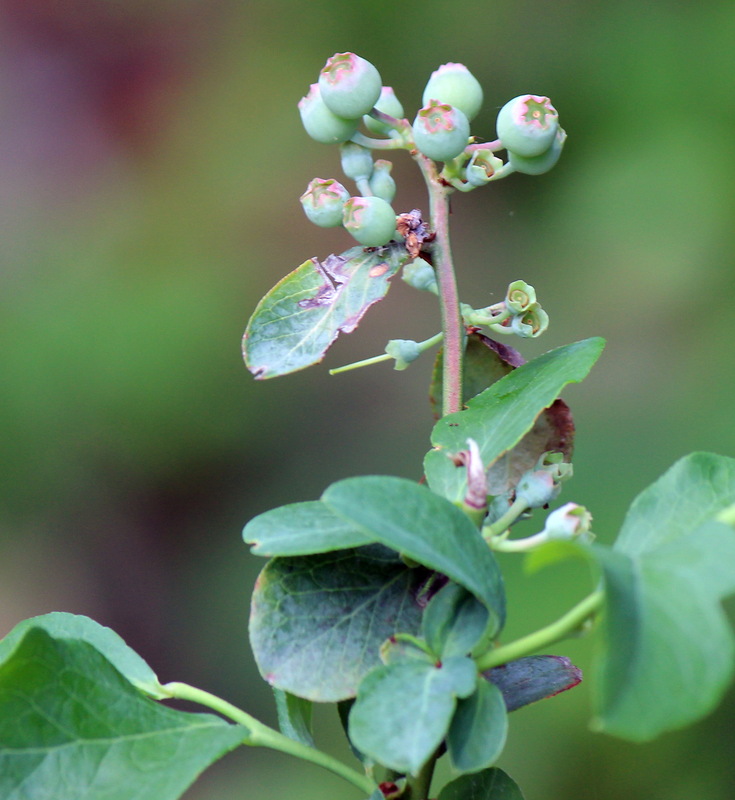 Cultivar of Vaccinium virgatum, Rabbiteye Blueberry, late April. 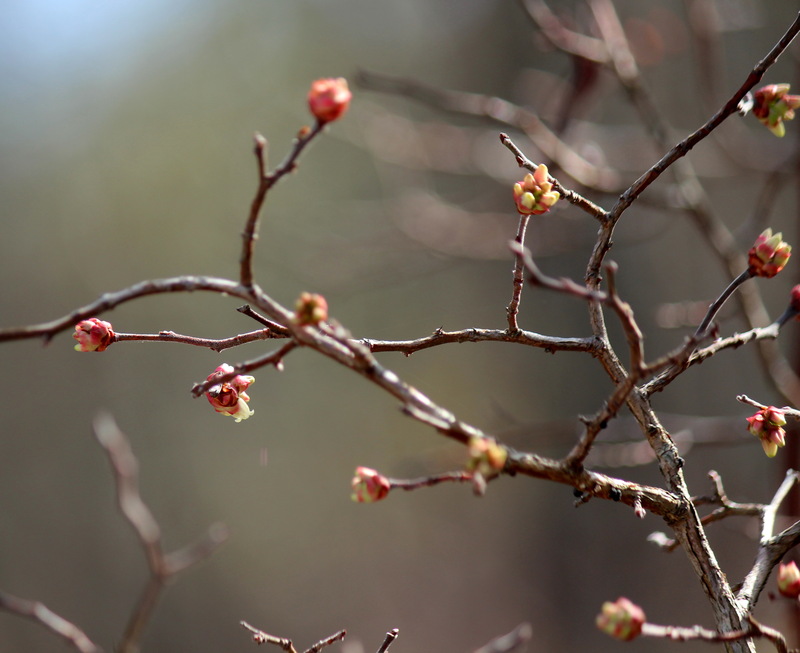 Vaccinium fuscatum, Black Highbush Blueberry, late April. A lot of fruit for this particular plant this year! 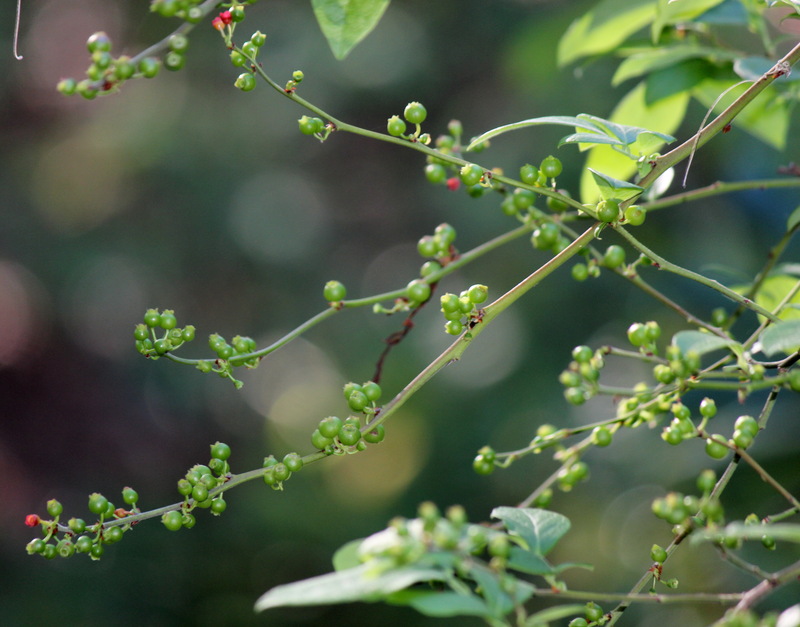 Now that it is well into April, the blueberry crop is ripening, confirmation of successful pollination. 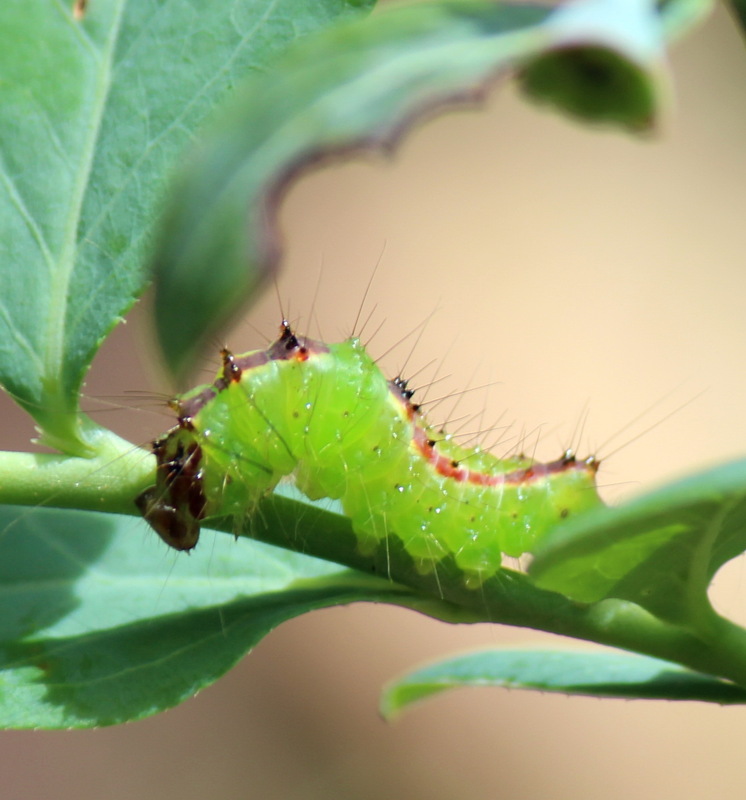 Although the Habropoda are no longer in sight, other insects are taking notice of the blueberry plants. 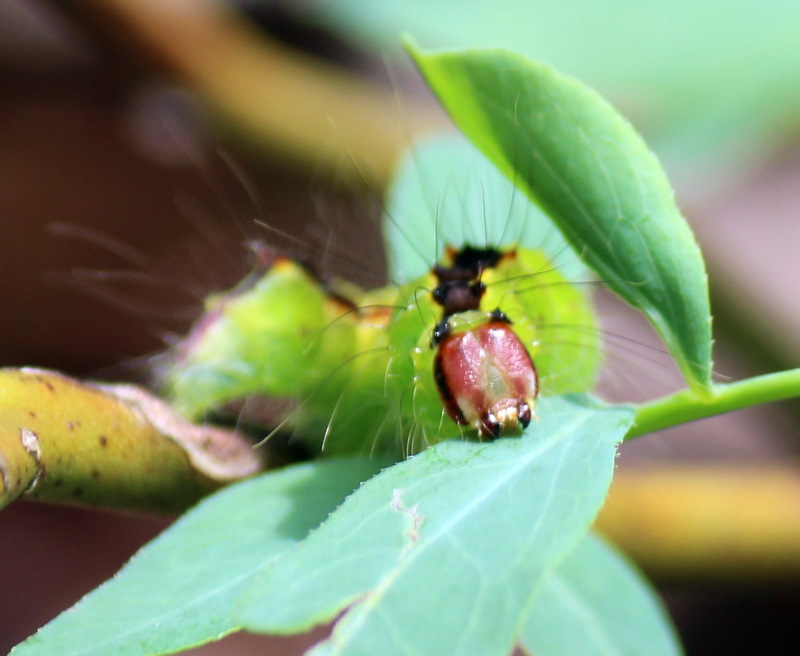 Caterpillar of Triton Dagger Moth, Acronicta tritona,, on V. virgatum. another view. Prickly little protein pack…. *For more about native bees of the southeast, here’s a link to a nice publication produced by USDA Forest Service with the Pollinator Partnership. 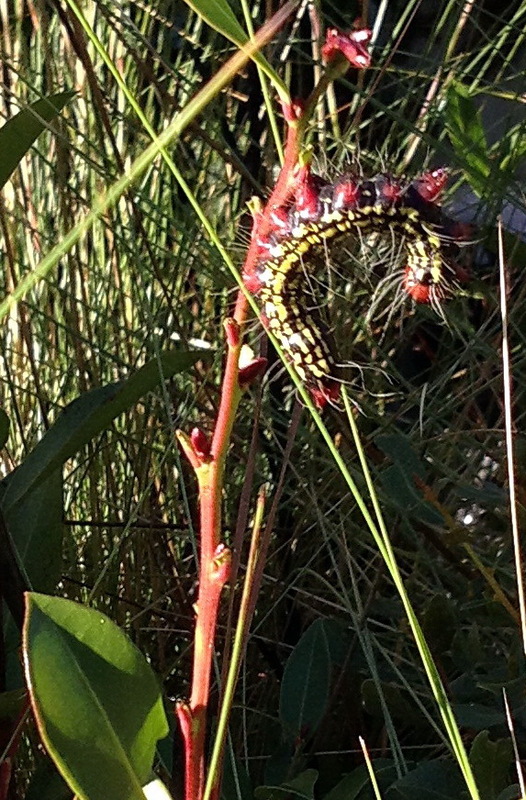 Another fan of Vaccinium – Azalea Caterpillar,Datana major, on Lyonia lucida, Fetterbush. Cane, J., Payne, J. A. 1988. Foraging ecology of the bee Habropoda laboriosa (Hymenoptera: Anthophoridae), an oligolege of blueberries (Ericaceae: Vaccinium) in the southeastern United States. Annals of the Entomological Society of America, 81:419-427. Cane, J. 1994. Nesting biology and mating behavior of the southeastern blueberry bee, Habropoda laboriosa (Hymenoptera: Apoidea). Journal of the Kansas Entomological Society, 67:236-241. Cane, J.H. 1997. Lifetime monetary value of individual pollinators: the bee Habropoda laboriosa at rabbiteye blueberry (Vaccinium ashei reade). Acta Hortic, 446:67-70.